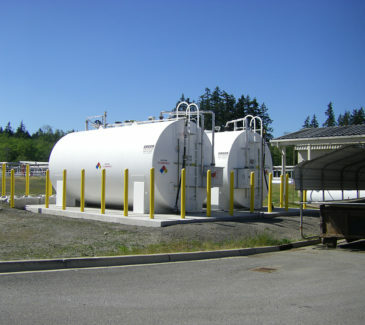 Kitsap County contracted AEC to design and engineer new fueling systems at two separate locations in Bremerton, WA. 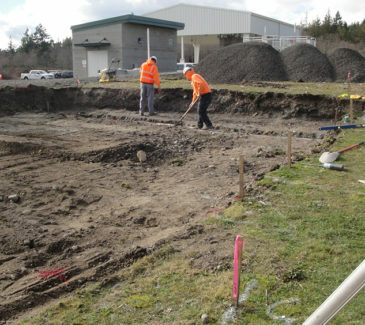 Our contract included the installation of new above ground tanks, dispensers and all associated equipment for fully functional fueling systems at the Central Kitsap Treatment Plant and at the Randy W. Casteel Public Works Annex; and the removal and decommissioning of existing underground fuel tanks at the Treatment Plant facility. Additional work at the Casteel site included installing a TLS-350 tank monitoring system, underground piping with fuel dispenser and bollards for propane tank installation. This site also required catch basins, an oil water separator and drainage system to an existing bioswale. 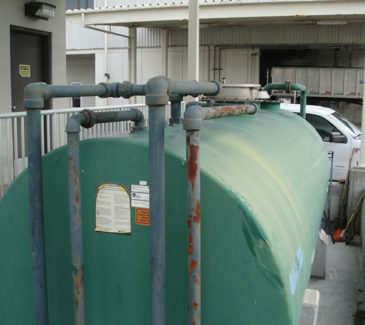 AEC prepared supplemental designs and drawings, obtained all required permits, and installed county-supplied above ground fuel tanks and dispensing equipment. 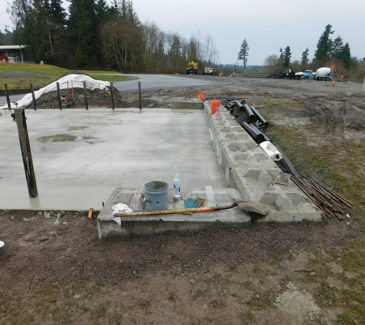 AEC also managed the pouring of reinforced concrete footings for the LP-Gas tanks, pump, and motor at the Annex site, a new card reader system and console at the Annex site, and provided connection to an existing card reader console at the Treatment Plant site. AEC furnished and installed above ground and underground fuel lines, performed startup activities, and field tested all materials and equipment. AEC crews relocated one of the ASTs at the Treatment Plant facility after it was discovered during utility locate that unmarked electrical lines ran through the AST slab area, which affected the tank slab location and elevation. The County requested AEC hand-dig and expose all electrical conduits and verify the elevations. AEC also discovered a 4” steel force main below the conduits, but it was unclear whether or not those lines were in use. AEC managed the encasing of the conduits with concrete and proceeded with the AST slab installation over them, using 5,000 PSI concrete for a fast set to ensure backfill and compaction could be completed the following day.